With a life that spanned more than a century, Kathryn Jeffers was a blessing in the lives of everyone she met. She maintained an active lifestyle and had a love for life that was easy to see. Deeply devoted to her family, Kathryn was there for her children, grandchildren, great-grandchildren, and even great-great-grandchildren. Guided by an unwavering faith, she exemplified what it means to be a woman after God’s own heart. Life will never be the same without Kathryn here, but she leaves behind a priceless collection of memories that her loved ones will forever hold near and dear to their hearts. The year 1918 was an eventful one in America. We were left with no choice but to engage in WWI the year prior, and this was the beginning of our status as a world leader. Not only was WWI affecting much of the world, but there was also a deadly flu pandemic during this time that became one of the most severe pandemics in our nation’s history. Despite the trials around them, Floyd and Esther (Vander Hill) Mackellar were filled with great joy as they announced the birth of the baby girl they named Kathryn M. on October 23, 1918, in Kalkaska, Michigan. She was the older of two as she was joined in the family by her brother, Bruce. When she was a young girl, Kathryn and her family moved to Grand Rapids where they settled into a home on Jackson Street, NW, and later on Lake Michigan Drive, NW. Her father worked as a barber while her mother was a homemaker. In many ways Kathryn was a typical young girl of her generation. She loved things like playing with her friends and also helping her mother with the cooking, cleaning, and other household duties. As a family they were members of Valley Avenue Methodist Church, which later became Faith United Methodist Church. As a student Kathryn attended Sibley Elementary and later went on to Union High School. After graduating from high school in 1935, she took an office job at Oliver Machinery. New and exciting changes were in store for Kathryn when she met the young man of her dreams. 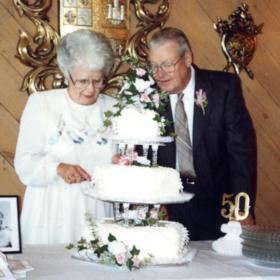 His name was LeRoy Jeffers, and they met through her cousins, Joyce and Crawford Smith, who ended up standing up in their wedding. After dating for a time, Kathryn and LeRoy found themselves deeply in love. With a desire to spend the rest of their lives together they were married on October 29, 1940, at her parents’ home on Lake Michigan Drive. Soon after, the newlyweds found out they would be parents, but sadly, LeRoy was drafted into the United States Army and didn’t meet his new daughter until she was three years old as a result. Their family later grew to include their son, Jack, who completed their family of four. At first they lived at 1150 Lake Michigan Drive, NW, but they matter moved to 1641 Fourth Street, NW, in 1955. 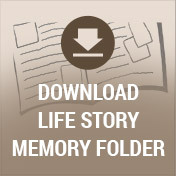 LeRoy worked as a tool and die maker while Kathryn focused her time and attention at home. As a family they enjoyed vacations to Northern Michigan, camping at Grand Haven with extended family, and fishing off the pier with cane poles for perch. There were also spring break trips to Florida. 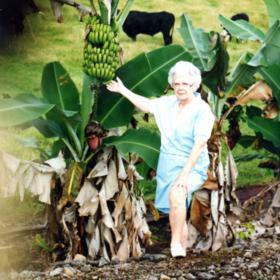 Throughout her life Kathryn was a woman of many interests who preferred to be busy. After LeRoy retired they really made the most of life. They frequently traveled, and they made it to places such as Hawaii, Jamaica, Spain, Australia, and several others, often with brother, Bruce and Maria. Around home Kathryn loved caring for her yard and many flowers as she planted tulips, petunias, irises, and peonies, as well as a few tomatoes. She had an impressive cup and saucer collection, and she even took ceramics classes and learned to make all kinds of gifts for family and friends. Kathryn knitted afghan squares at church that were used to make afghans for those in need. She was an amazing cook and was most known for her meat and potatoes including roasts and chicken as well as popovers, cream puffs, and lemon meringue, blueberry, and apple pies. For years Kathryn worked as a waitress at Kent Country Club. She and LeRoy were faithful members of Faith United Methodist Church, and they were also on an adult volleyball league together. Kathryn was always close to her children and grandchildren, and she never missed their special days or school and sporting events. She was also very close to children and grandchildren, even as they grew older. In April of 2006, Kathryn was deeply saddened with the death of her husband, but life went on for her while her faith and the love of her family sustained her during the hard times. She remained active, riding her stationary bike every day. Kathryn was always healthy and rarely needed to see a doctor. 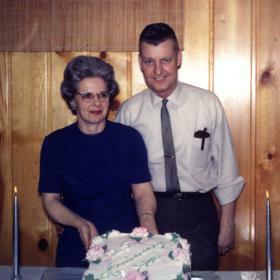 Twice a year Kathryn visited her son, Jack, at his home in the Upper Peninsula. There, she enjoyed going for long walks. When relaxing, she loved watching game shows on television, and every Saturday night she and her neighbor, Barb, watched the Lawrence Welk Show together. On Tuesdays, she knitted with her good friend Roecell. Finally, life slowed down for Kathryn when she was 100. She moved to Green Acres Assisted Living in Standale. As her health diminished, she was placed under hospice care. All who knew Kathryn Jeffers would agree that she was truly beautiful on the inside and out. She was one of the most loving and caring people around, and her energetic love for life was contagious to all who were near. Kathryn was dedicated to the ones she loved, and she was a true and gracious friend. Intelligent and active, she accomplished so many amazing things throughout her rich and rewarding life. Deeply loved, Kathryn will be forever missed. 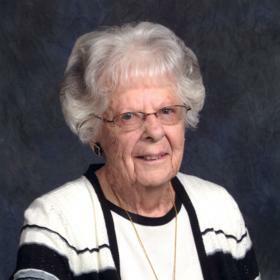 JEFFERS, Kathryn M., Grand Rapids, MI, Age 100, passed to eternal life April 3, 2019. 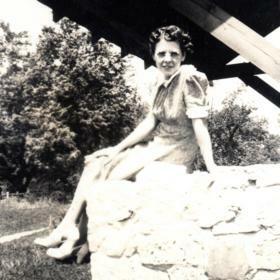 Kathryn was born October 23, 1918 in Kalkaska, MI to the late Floyd & Esther (VanderHill) MacKellar. She was also preceded in death by her husband, LeRoy Jeffers; brother & sister-in-law, Bruce & Maria MacKellar. Kathryn is survived by her children, Carol Pearson, Jack Jeffers; grandchildren, Timothy (Tammy) Pearson, Michael (Sandra) Pearson, Jodi (Chuck) Clark, Jennifer Jeffers, Katie Jeffers; 7 great-grandchildren; 4 great great-grandchildren; and special friends, Barb Tomsczak & Raecell Bascom. A funeral service will be held Saturday April 6 at 11 AM at Faith United Methodist Church, 2600 7th Street NW. Friends may visit with family Friday from 3-5 PM at Heritage Life Story Funeral Home, 2120 Lake Michigan Drive NW and beginning at 10 AM at the church. Interment will be in Rosedale Memorial Park. Memorials may be made to Faith UMC or Spectrum Health Hospice. Please visit Kathryn's personal web page to read more of her life story, leave a memory or condolence at www.lifestorynet.com.